The head of the Wales Air Ambulance has condemned people who shine high powered lasers towards its helicopters. 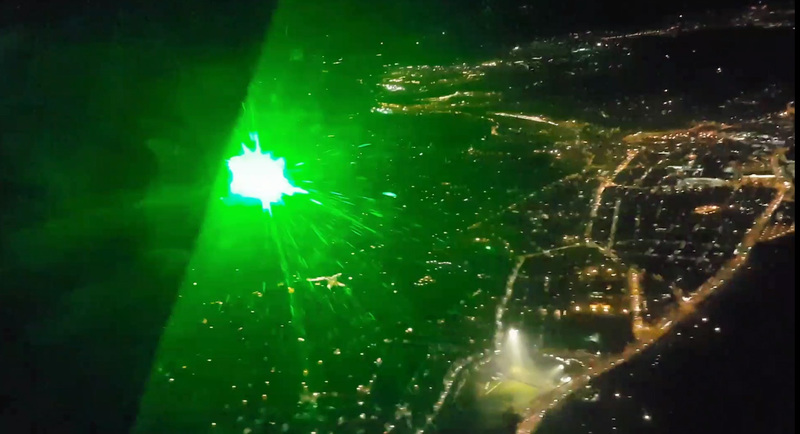 It comes after a flying doctor was temporarily blinded when a helicopter was targeted by someone with a "commercial strength" laser beam in Swansea. The aircraft was on an emergency call over the Townhill area on Bonfire Night. Wales Air Ambulance chief executive Angela Hughes said: "Our aircraft was flying a rescue mission and the doctor on board was temporarily blinded. "The aircraft was flying at 2,500 ft over Swansea Bay. The fact a laser reached it at that height shows the beam was much stronger than any produced by a standard pen laser. "Someone set out deliberately to try to disable our aircraft." Captain Grant Elgar was the pilot on the flight and has told Heart it could have been a disaster. "It can lead to catastrophic consequences because if you incapacitate the pilot there's no one to land that helicopter. "If I've got a patent or crew on board it's my responsibility for their safety and if I'm blinded I can't ensure that." The Air Ambulance says the doctor is still recovering from the damage to his eyes and police are now investigating. Inspector Paul Thomas of South Wales Police said: "People shine laser pens at aircraft with no concept of the risks imposed to the crew and the public. "The reality is that shining lasers at the aircraft can have fatal consequences. People caught endangering aircraft with lasers potentially face a fine of up to £5,000 and up to five years in prison.